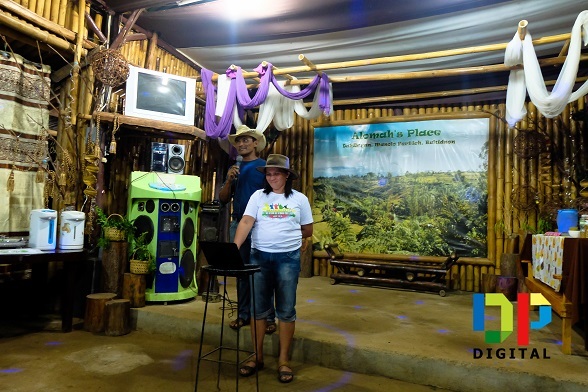 For the second part of the Organic Agriculture Bukidnon Tour we went to Dahilayan, Manolo Fortich and spent a night at Alomah’s Place. 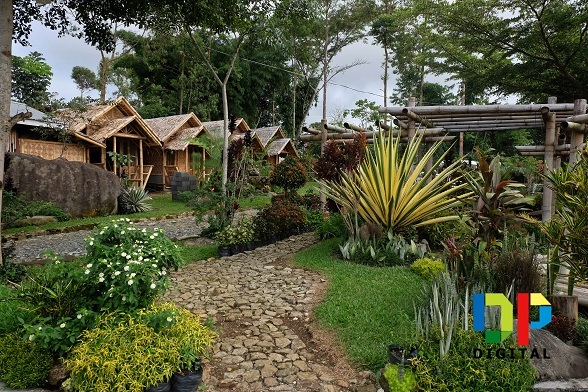 Alomah’s Place is located around 50km from the city and only 2 km from the famous Dahilayan Forest Park. 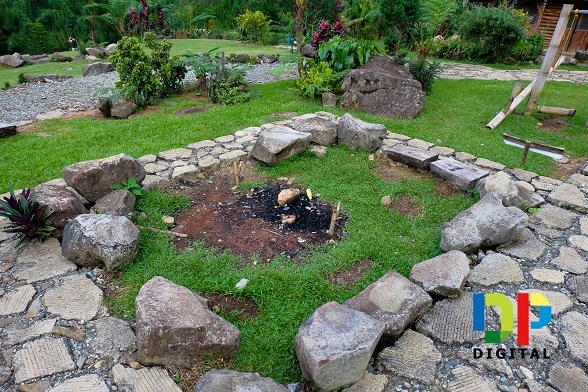 The place is owned by the couple Benjohn Alombro and Grace Mahistrado which they acquired in 2008 and developed in 2012. We arrived at around 5PM and we didn’t have much time to tour around so I just took a few photos before we went to our cottages to fix our things and prepare for dinner. 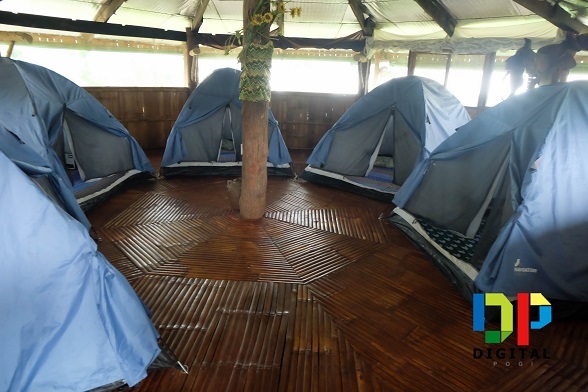 There are four huts available and each can accommodate up to 4 people, but I believe they can do 6. The water comes from a natural spring and it’s freezing cold. There are tents outside for those who are feeling adventurous. You can bring your own or you can rent one of theirs. 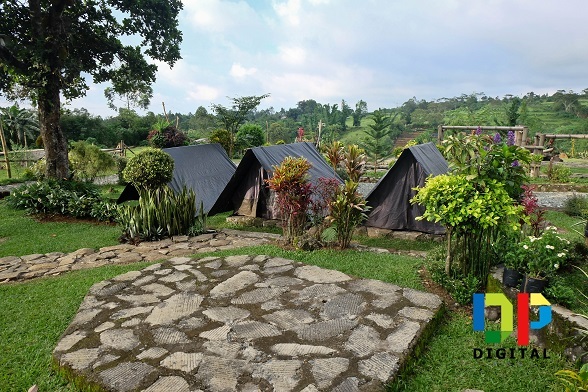 There is a dormitory available for students and training participants, an event place and a bigger hut with 5 tents upstairs. 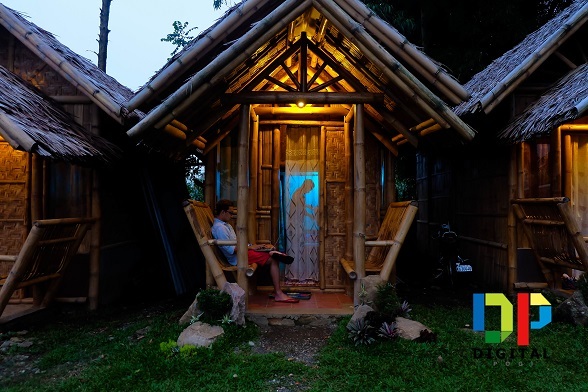 An overnight stay at the hut costs P2500 4-6/pax, the tent is at P500 2 Pax and you can bring your own tent and pay only 150/head or use the dormitory which has 10 double deck beds and it only costs P300/head. 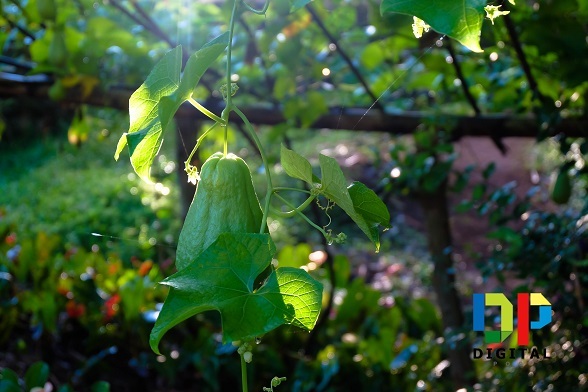 I am really impressed with how a two hectare land was transformed in to a farm, a tourist spot, camp site and a training site for those who want to learn more about organic agriculture. 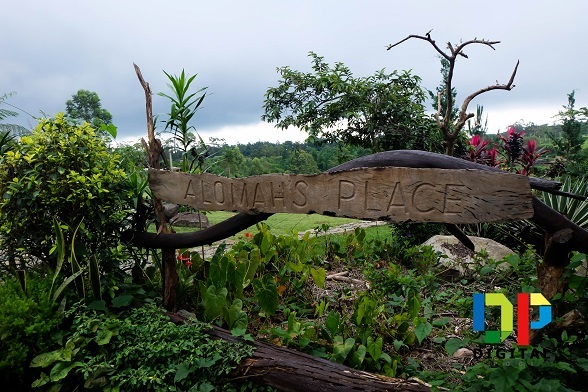 Alomah’s Place promotes recycling thru utilization of scrap materials and making it useful. The pavements you see all around the place were part of the roads that were demolished for repairs. Glass bottles and plastic bottles were also put to good use. After a few photos and a bit of rest we went inside our huts and prepare for dinner. During dinner we were able to get to know the couple behind this amazing farm. They got married just right after graduation which gave them the drive work hard at an early stage of their married life. They finally got to save enough money to buy a land to farm and develop. They save money and invest in farming and spends wisely. They never went to a mall because it isn’t necessary, they only go to one if they are to participate in a trade show and to eat at popular restaurants to find out which vegetable or herb are in demand. They loan to invest, they bough cows, chicken and other livestock. 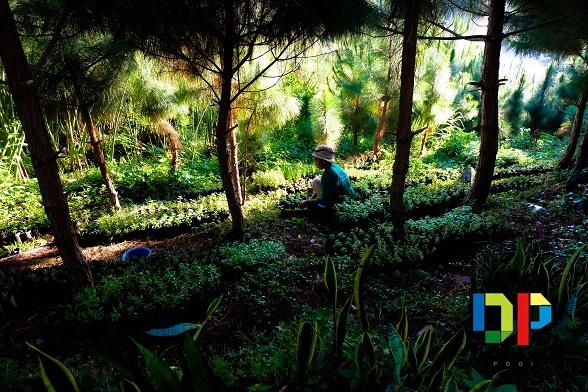 Benjohn Alombre was invited by ATI to train about farm tourism and organic farming for 14 days. Mr. Alombre declined and insists that if he was to train, it has to be the both of them otherwise he will waste time and effort in convincing his wife on what he learned, they need to have the same mindset. ATI agreed and the rest is history. 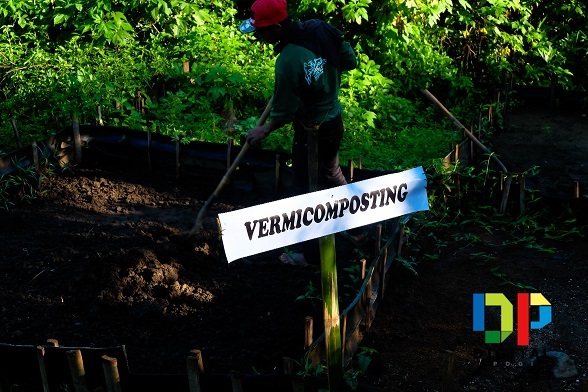 Currently the farm helps exposing marginal farmers to new opportunities, edible landscaping, and a model tourist spot. After dinner, we had a few songs and tomorrow we tour the farm. We tried to wake up to witness the sunrise because they mentioned that they have a magnificent view of the sunset but the cold mountain breeze won over me. Alomah’s workers starts early, their 2 hectare farm only has 10 workers and each have their own designated places to maintain productivity. The woman on the photo is assigned with the potted herbs. Just a few steps away from the potted herbs I saw huge sayotes hanging in the vines. All the while I thought that sayote was a root crop. 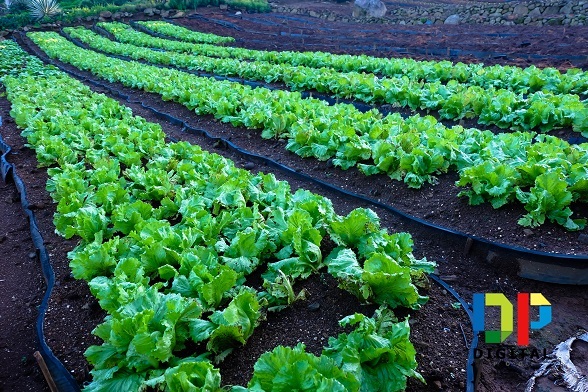 Out of the 2 hectare farm, 500 sqm were lettuces which produces 100-200 kilos weekly. They have different variants of lettuce including iceberg, romaine, green and red cora, and Chinese cabbage. They chose lettuce because it’s a high value crop. It’s expensive, in demand, and has less competition because of climate, plus it isn’t seasonal, it’s ready for picking all year round. Alomah’s Place uses basic composting, and utilization of manure from their horses. 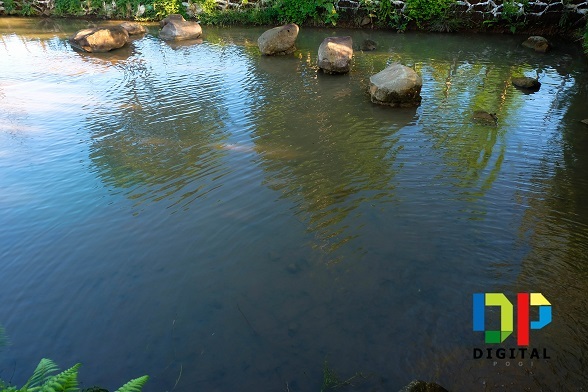 The farm has a man made tilapia pond and a natural spring where you can enjoy bamboo rafting. BenJohn and Grace has planned and executed everything so well. It also helped that the land they acquired was perfect for what they had envisioned. 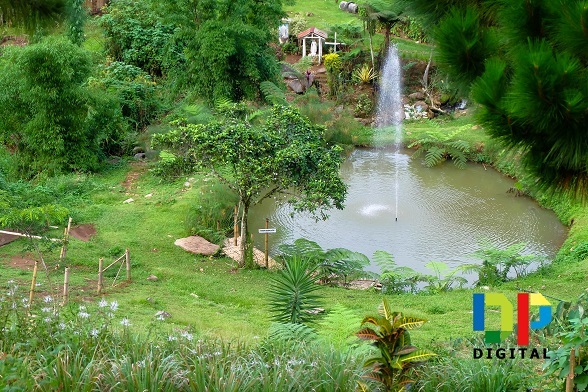 The high lands and the natural spring is perfect for the farm. 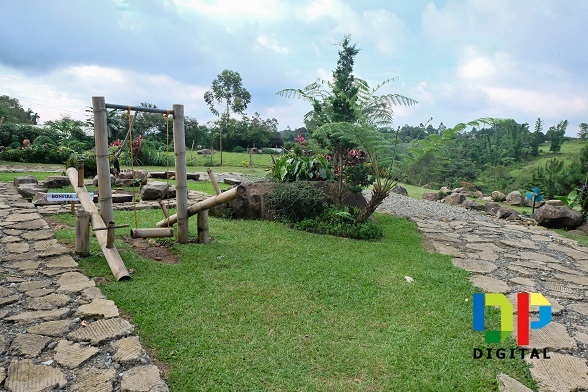 If you ask me, Alomah’s Place is the best example of how Agricultural Tourism farm should be. It’s complete from herbs to horses. BenJohn owns a number of priced horses that has won awards from competitions locally and internationally. Visitors get an opportunity to trail ride the horse for a fee. 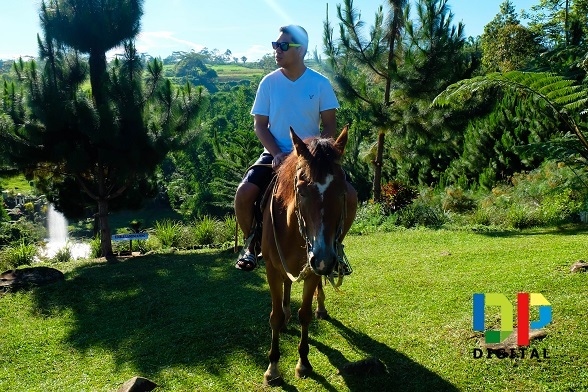 These horses are a lot different from the ones you see in Baguio because these are well taken care of and trained. 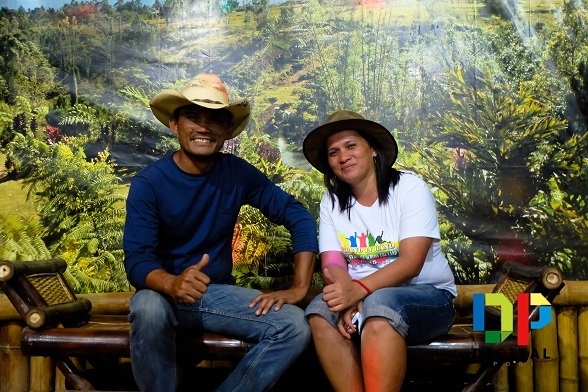 BenJohn and Grace are very passionate in what they do, the farm itself speaks so much about the time, effort, and love that they put in to it. 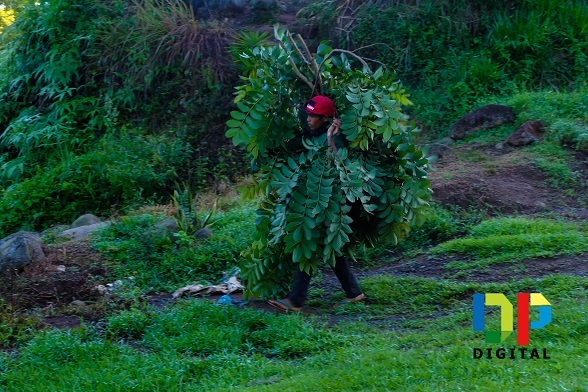 The passion they have for the environment has been passed on to their children and at a young age they children have the same passion and discipline their parents have. Alomah’s Place is being developed as a learning site, a farm that teaches practical agriculture.